To travel and take photos of landscapes, culture and people far different from the Philippines is a dream that almost every amateur photographer I know would love to fulfill. And I know, I’m not the only one who was a little envious when four hobby photographer were called out last July 16 to represent the first ever AirAsia Travel Photographer. Meet Marie Velvet Lagman-Macasaeta, a BPO employee; Sarah Garcia, a hotel front office agent; Paul Delfin, a barista; and Antonio Nepomuceno III, a marketing professional. 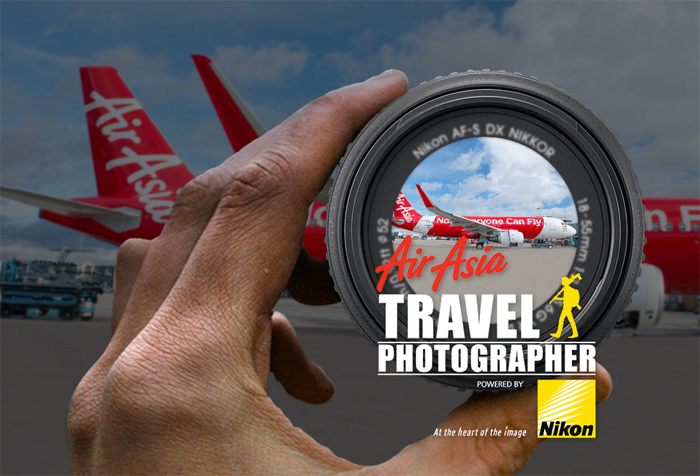 Preselected by a team from AirAsia and Nikon Philippines, this lucky bunch of aspiring shutterbugs is now traveling via AirAsia across four different countries around Southeast Asia. And not only do they get to travel for free, they also get to be mentored by Nikon Philippines' brand ambassadors on how to fully capture the soul of their chosen destinations. Raymond Cruz, a well-respected landscape photographer, partnered with Antonio and will go to Thailand, while George Tapan, a pillar of Philippine tourism photography has just finished traveling with Sarah to Malaysia. Parc Cruz, one of the most creative portrait photographers in the country, will take Paul to Hong Kong, and Adam Lee, whose forte lies in portraiture and travel photography, flew to Indonesia with Marie. The four contenders vying for the AirAsia Travel Photographer of the year would then present their best images at the www.airasiatravelphotographer.com to be voted upon by the public for the title. The good news for voters is that not only do they get to choose the winner but they also stand a chance of winning a Nikon camera and free flights through an electronic raffle. Those points can easily be converted to roundtrip tickets to any of AirAsia's destinations. 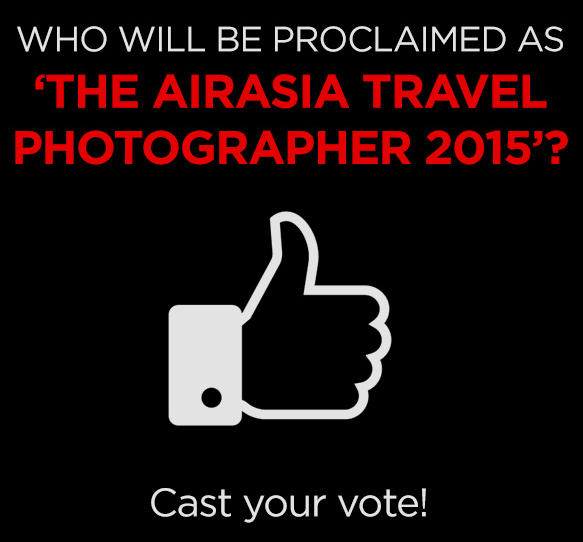 To vote, head over to www.airasiatravelphotographer.com, check the gallery pages, then take your pick. Voting can be done once a day and starts from August 20 to September 5, 2015.